No matter how much you deny, everyone has an inclination towards potatoes. There are many eatables that can be prepared using potatoes. However, you need to store them optimally to avoid any kind of spoilage. Mentioned below are a few tips on the same. Store them in a dry place – Moisture can lead to infestation and mold growth. Therefore you need to ensure that potatoes are stored in a dry place away from any kind of humidity or moisture. Store them at room temperature – Potatoes are in their best form when they are stored at room temperature. Do not refrigerate them – There are many people who store potatoes in the refrigerator. Doing this can lead to conversion of the starch into sugar, that may lead to discoloration and spoilage. And even if you store them in the refrigerator, remove them outside and let them come back to room temperature before you use them for cooking. Do not wash them with water or any other thing before storage – Washing potatoes before storage can lead to accumulation of moisture that can spoil them easily. Avoid stowing them in warm areas – You must never store potatoes in places that are close to heat sources such as gas cylinders, below the sink or right in front of an open window. They can get spoilt if they absorb too much of sunlight. Store them in paper bags or perforated plastic bags – Storing them in such bags can help to extend the shelf life of potatoes. Be careful of sprouting or green potatoes – Both of these are signs that the potato is not normal. Eating potatoes that have sprouted or turned green can make you sick. 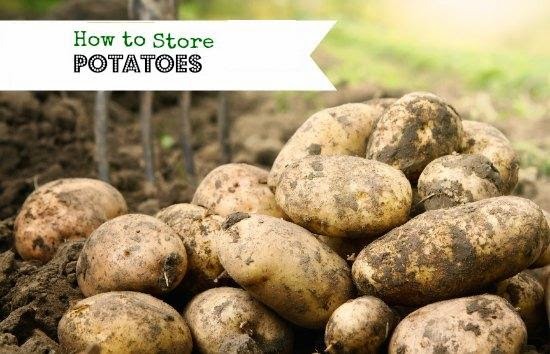 Keep the above tips in mind before you store potatoes this season.